Born and raised in Lyon France, Isa D’arleans has experienced the privilege of living her passion for the arts in between two continents, Europe and America, where she developed and fine tuned her love and knowledge for Fine Arts, colors, design, and fashion. Although known as an artist for her painting style with years of exhibits and travels, she has also worked extensively in other artistic fields that have broadened her sensibility and expertise in visual arts and aesthetics. Isa’s work has been praised and collected nationwide for the past twenty years. The Color group exceeded all of my expectations from day one. A truly great company to work with! 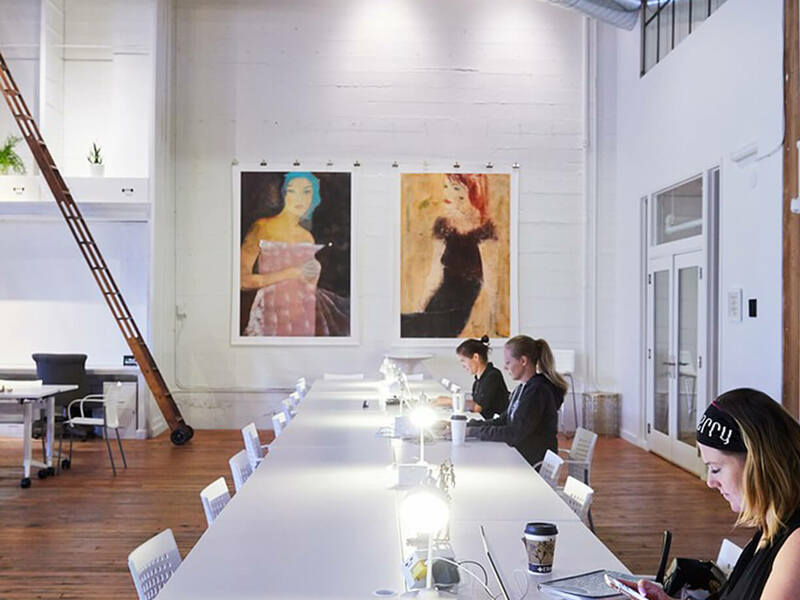 Here, Isa’s artwork can be seen hanging on the walls of The Riveter – Seattle’s first coworking space geared toward women. Located in the former MTV Real World building on Capitol Hill. 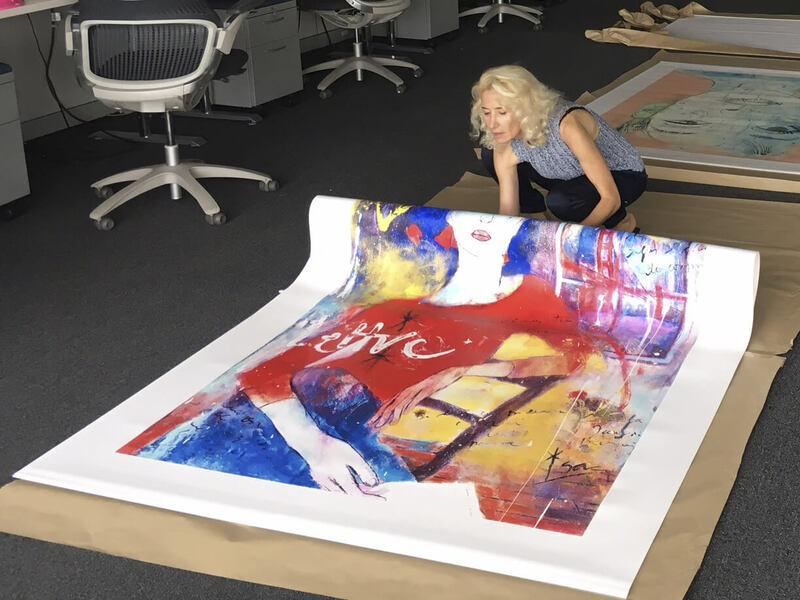 With all the ambient light in this space, picking out just the right Giclée Varnish for these large canvas prints was an important part of this project. To learn more about our canvas varnishing services, check out our Fine Art Canvas page.